Office worker by day, Booktuber by night. "I grin at his exasperation, but my smile is short lived as the dull edge of his practice sword swipes under my knees." Miera is a Winterian refugee orphan raised by the general, Sir. She is training to be a warrior alongside her friend and future king, Mather. When she discovers the ancient locket that could restore the magic of the kingdom, she finds herself in a world of evil and danger, and eventually realizes that her destiny has never been her own. This is the first in a series and my first read by Sara Raasch. 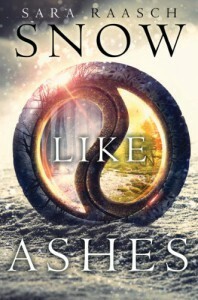 It was an interesting page turner that left me excited for the next book in the series, Ice Like Fire. I would recommend this read to anyone interested in the adventure of life in finding their own destiny.